Complete your Kansas real estate continuing education requirements. Our courses are designed to help you fulfill your CE credits for your Kansas real estate license renewal. This is an online real estate school that offers you the convenience of studying at your own pace in any location with Internet connection. 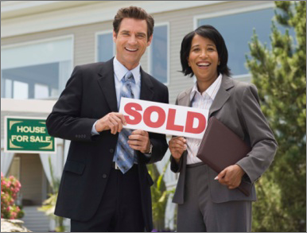 Our real estate CE courses meet the requirements of the Kansas Real Estate Commission (KREC). Take your 12-hour Kansas real estate continuing education now. Brokers must complete a 12-hour CE by their first renewal date and at each subsequent two-year renewal. Salesperson must complete a 12-hour CE for each subsequent two-year renewal after meeting the 30-hour post-license requirement. Online Kansas license renewal is available 45 days prior to renewal due date. Late renewal is available online after due date and on or before the expiration date. A paper application must be filed with the Commission in order to renew within the 6-month grace period after the license expires. Online renewal is not available if, within the last six years, you have been charged or convicted of a criminal offense, received a diversion or suspended imposition of sentence, or if you have received disciplinary action against a professional or occupational license (other than your Kansas real estate license).